The TANGIBLE way of working lies in planning, scheduling and trying to work efficiently as well as effectively. But there are times when speed is of the essence. Here we give you Forbes top tips to working just that little bit more effectively to be faster and efficient. 1. Try and have a one-track mind. An average person has over 70,000 thoughts per day, which is 49 per minute. Focus your mind on the task at hand and don’t allow your mind to wander. 2. Don’t stop. If you get stuck for more than 30 seconds move on to your next task and come back to the original one. 3. Write a draft, don’t question anything you do within this first 15 minutes. You can come back and ‘fix’ it – trying to get it perfect straight off the bat is not effective. 4. Listen to music. Background noise can help you finish tasks faster. 5. Keep lights bright. Increasing the light levels in your working environment has a direct impact on your productivity. 6. Keep your desk clear. This will focus your mind and allow you to not become distracted. 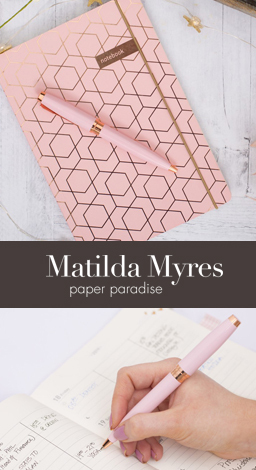 Just a FORBES or Matilda Myres notebook and pen of course is fine. 7. Write short. 140 character emails are concise, writing long emails when not necessary can just confuse the recipient. 8. Don’t have your phone on your desk. 9. Have a written ‘to-do’ list and stick to it. 10. Don’t let your inbox govern your schedule, allocate time to read and respond to emails, don’t let incoming mail interrupt you from your schedule of important tasks.